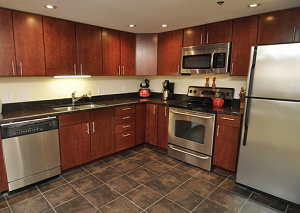 The Falls and Pinnacle is a part of a larger condo complex which also includes La Rive. 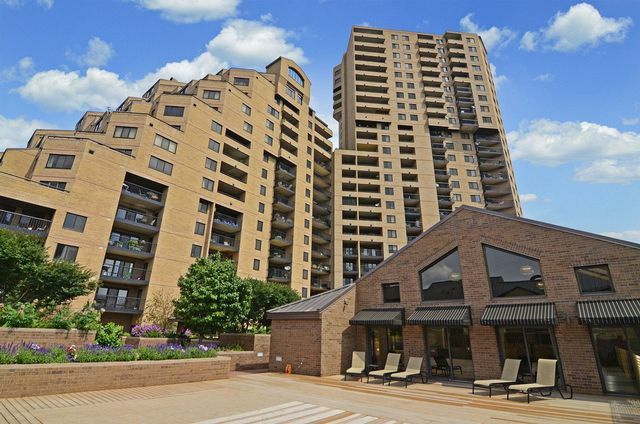 Located in northeast Minneapolis next to St. Anthony Main's upscale shopping and restaurants, this 28-story building features wonderful views, great shared amenities, and an convenient location. The Falls offers 87 terraced condos and six townhouse units built to mimic the historic St. Anthony Falls. For a more upscale option, the units at the Pinnacle range from modest studio apartments to high-end penthouses with panoramic views of the Mississippi River and the Minneapolis skyline. Scroll down to see all units at The Falls and Pinnacle for sale or learn more about building features and neighborhood amenities that makes this a great living option in NE Minneapolis. Looking to live at the The Falls and Pinnacle in NE Minneapolis but not finding what you are looking for? Inquire about our 'off MLS' Minneapolis Condo and Loft pocket listings. The Falls and Pinnacle offers a range of living options from studio apartments to ultra-luxe penthouse suites. Square footage of units is 537 to 2,255 so size really depends on your desired lifestyle. One of the benefits residents enjoy, are the fabulous skyline and river views from their private balconies. 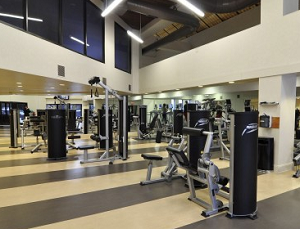 Shared amenities are also attractive with an indoor pool, and a state of the art fitness center for private work outs. Other building highlights include a sauna, yoga studio, private theater, and business center. Residents of The Falls and Pinnacle have plenty to do with such a great location in NE Minneapolis. The development is directly adjacent to St. Anthony Main, a trendy shopping and restaurant district which includes lots of delicious dining options along East Hennepin Avenue or "Eat Street". Across Mill Ruins Bridge is the Warehouse District and all of its recreational opportunities, restaurants and entertainment options including Gold Medal Park, Mill Ruins Park, the Guthrie Theater, and the Minneapolis Farmers Market. Parks: Chute Square, Boom Island, Dickman Park, Xcel Energy Water Park, Gold Medal Park, Logan Park, Holmes Park, and Marcy-Holmes Neighborhood Gateway. Restaurants: Ginger Hop Restaurant, Nye's Polonaise Room, Kramarczuk's Sausage Company Inc., Chipotle Mexican Grill, Keegan's Pub, Crave Minneapolis, The Butcher Block, Wilde Roast Cafe. Shopping: Surdyk's Liquor & Cheese Shop, Lund's, Park Boutique, Macy's, Marshalls, Saks Fifth Ave OFF 5th, Target, Gaviidae Common, Minneapolis Farmers Market. Schools: Marcy Open Elementary School (Public, K-8), DeLaSalle High School (Catholic, 9-12), New Horizon Academy (Private, PK), Bernie's Montessori School (Private, PK), and Fair School Downtown (Public, K-12).